Check out our Summer 2019 schedule below. Please read all our policies, including our Summer 2019 refund, transfer and credit policy carefully before registering for any camp or class as purchasing registration signifies agreement to the stated terms. Sienna Ranch OPEN July 4th. Dates and rates July 1-5 reflect a full 5-day week of program. Welcome to our 10th year of summer camp at Sienna Ranch! Each year we feel honored and grateful to be serving our wonderful community from all over the San Francisco Bay Area. If this is your first year, we welcome you, and if you are returning we welcome you back. This year promises to be another exciting summer at the Ranch, filled with all your favorite animals, all the secret magical places like the Tree Fort, Tire Tunnel, and the Buckeye tree, and of course our fabulous, passionate and dedicated staff. Most of the Sienna Ranch camps filled up very quickly last year. Unfortunately, we had to turn many people away. To ensure a spot for your camper, please register early. Please be aware that the specific activities described below are subject to change without notice. If camp activities are changed we will endeavor to replace them with activities which are as close as possible to the original activities described. 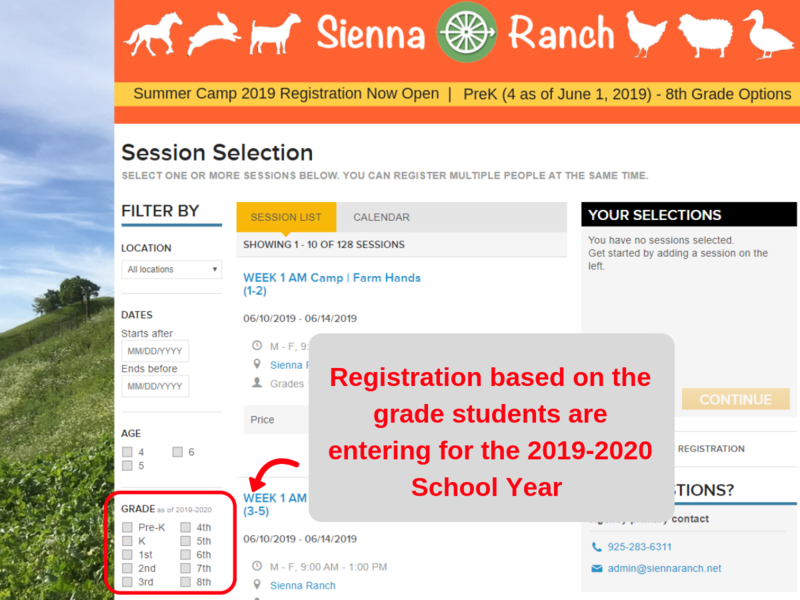 Please choose programming based on the grade your camper is entering for the 2019-20 school year. PreK participants must be 4 years old and fully independent using the restroom by June 1, 2019. 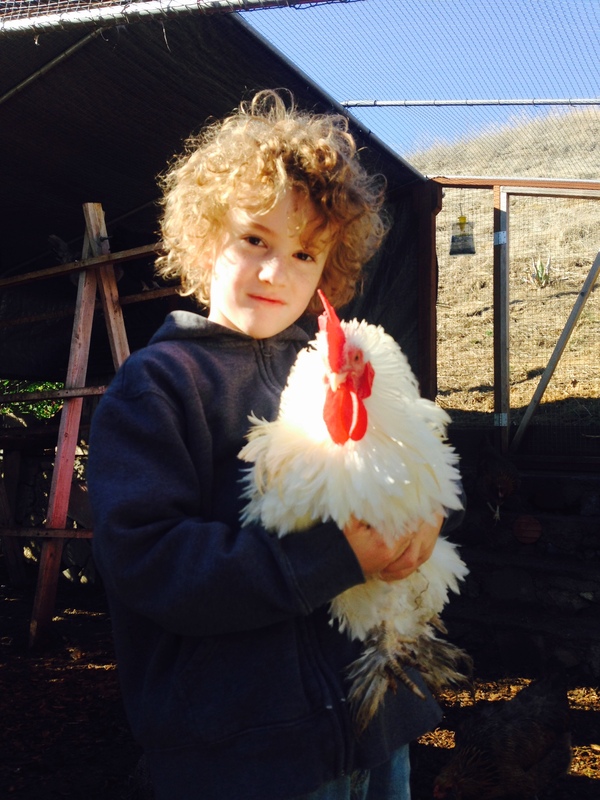 Spend a week with the residents of Sienna Ranch: the chickens, sheep, goats and ducks. 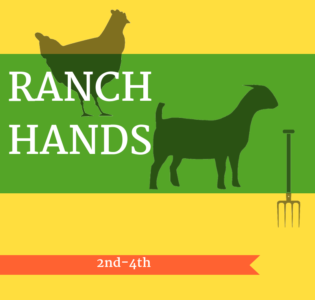 Campers will experience close interaction as they learn about and care for our farm animals. Old fashioned crafts and games will enhance the camp experience. 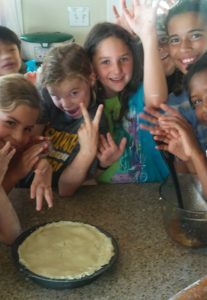 Farm Hands campers will enjoy unique activities including milking our goats, making goat milk treats such as smoothies or cheese, harvesting from our garden, and crafting with wool from our sheep. Our staff bring a passion for youth and animals together in this fantastic program where children will not only build relationships and learn respect for the living creatures at Sienna Ranch, but will also delight in some of the simple pleasures which used to entertain children in times past. *PreK-K campers must be a minimum of age 4 and fully independent using the restroom as of June 1, 2019 to enroll. Want to make sure friends/buddies end up in the same group? Make sure to select the same class number (#1 or #2) and you’ll be all set! 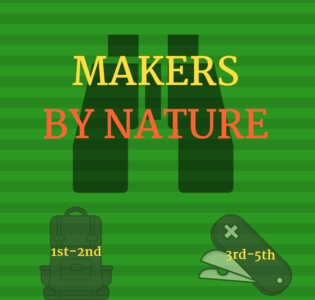 This week is all about discovering clever things to make and do in nature. 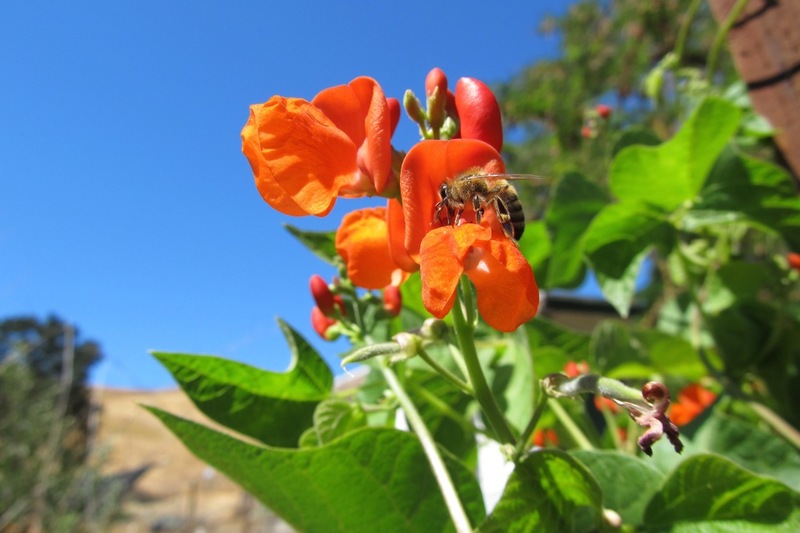 We will craft our own medicines out of native plants, practice our fire making skills, and explore the hills of Briones for tracks and clues from the wild animals that live there. Among our many projects, campers can look forward to practicing their aim with homemade bird bows, and making leather pouches. All ages will enjoy the fun games and epic landscape that Sienna Ranch has to offer. Campers will spend this week challenged and inspired by the great outdoors. 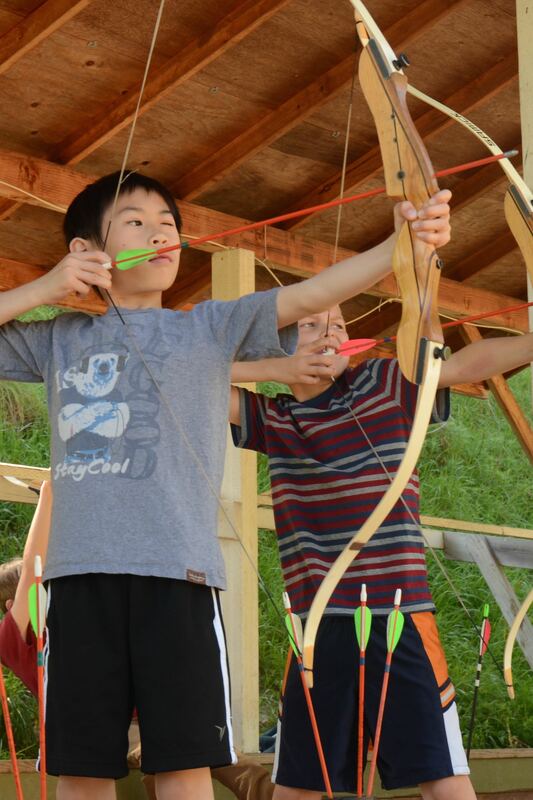 This camp nurtures confidence and trust in campers’ abilities and builds teamwork with fellow campers. 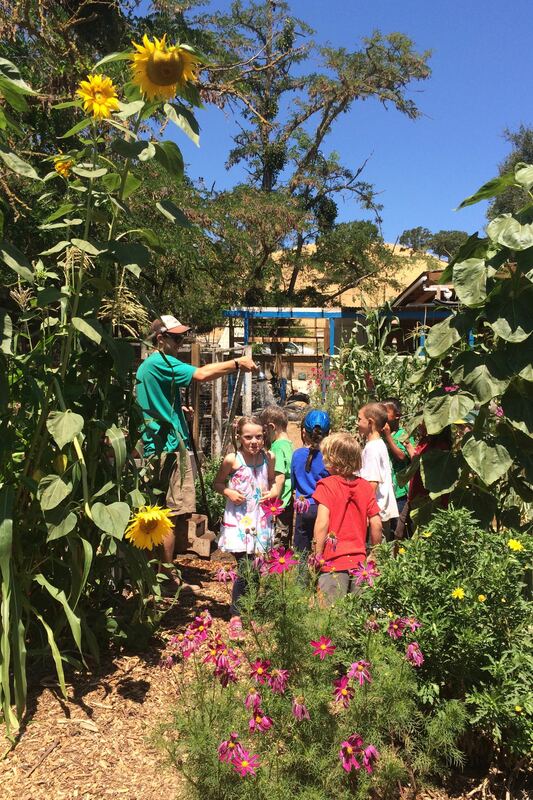 Campers enjoy destination hikes in Briones, building forts, learning how to make a one match fire, designing and running obstacle courses, sledding down the grass covered hills, team building challenges, and learning to shoot a bow and arrow. 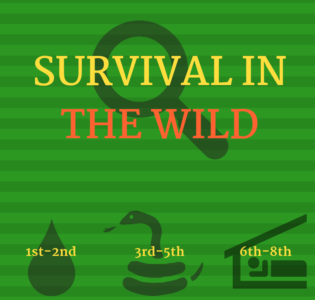 Surviving in the wild is no easy task. This camp introduces the fundamentals of staying alive: fire, shelter, food, and water. Campers will learn a series of basic wilderness skills including fire making, shelter building, food preparation, and water purification. 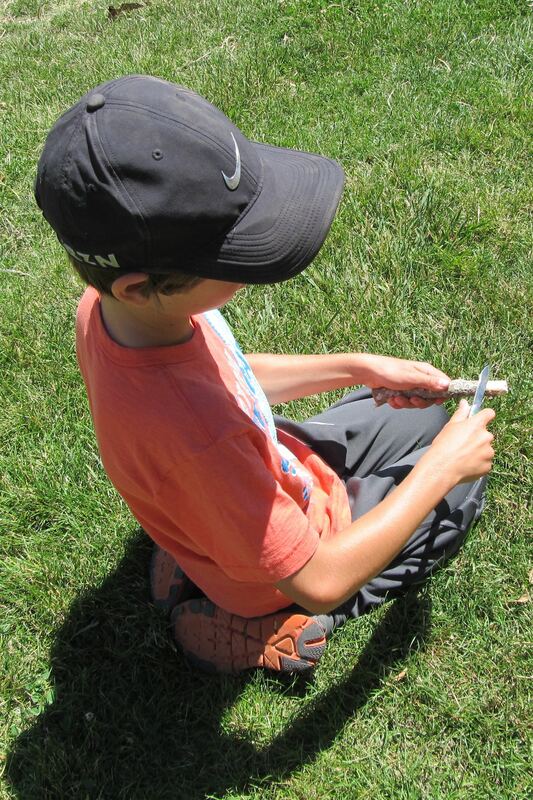 Campers will practice lost-proofing techniques with staff along with activities to sharpen awareness of our surroundings. As a culmination of the camp activities, campers will assemble a basic survival kit that they can continue to build on at home. Riding, horse-themed games, and horsemanship skills are the main activities in this camp. Campers will enjoy daily mounted and dismounted lessons in riding and horsemanship and other fun and educational horsey activities. 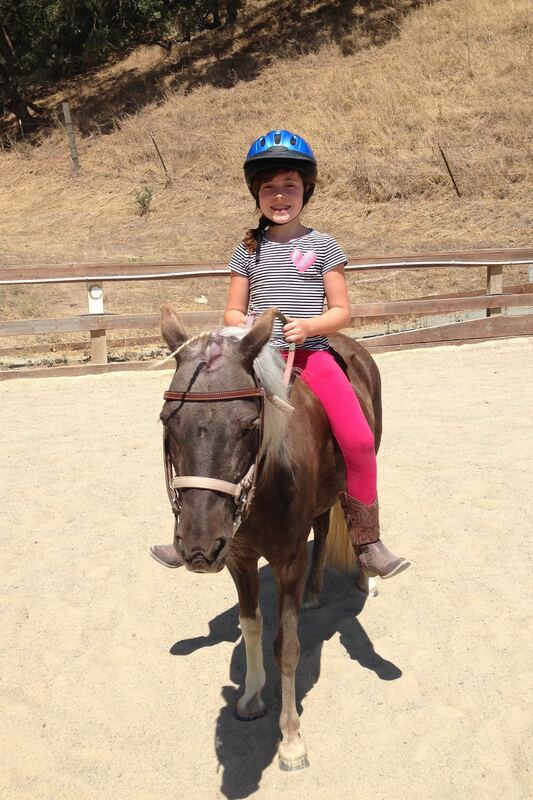 Each day campers work on new skills appropriate to their level during their mounted lesson. 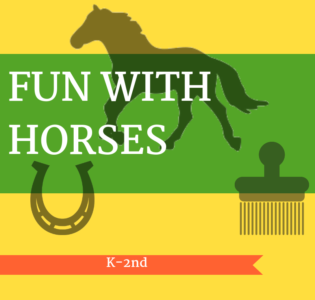 Groundwork games, activities, and crafts will include instruction in horse communication, grooming, tacking, leading & tying, and how we care for horses to keep them healthy and happy. When they are not working directly with the horses, campers will spend time practicing skills on the ground via various games and exercises that help develop their ability in the saddle. Our Equestrian campers love getting to know our many pony and horses! We have two new horses that we are excited to introduce you all to! Horses and Heat: Temperatures and humidity can sometimes exceed the heat stress index veterinarians deem too high for safe horseback riding. Please know that it is our preference for campers to experience a mounted riding rotation each day of program. However, we reserve the right to substitute riding with other creative, experiential horse-themed lessons and games should the index be too great for the horses to be exercised safely. Is your preferred Camp SOLD OUT? Put your camper on the Wait List if you’d like to be included in a batch email to all interested customers should a spot arise. As a reminder, registration is first-come, first-served. Being on the wait list is the best way to be notified about changes but does not guarantee a spot in programming. Our extended care service for families who need an earlier start to their day, Early Birds campers meet in the backyard area and play, draw, read or relax before morning camp begins. 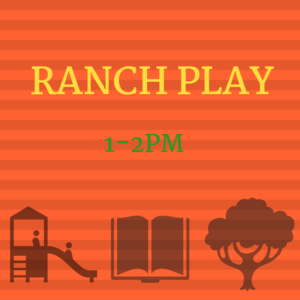 Ranch Play is a supervised play time offered after morning camp. Relax at the story station, enjoy the craft of the day or play on the play structure in our backyard area. 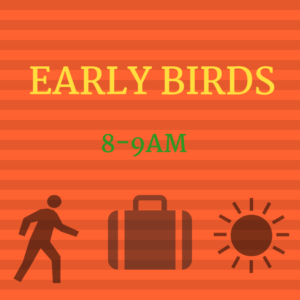 Flexible drop-off as early as 8am or up until 8:45. Available to morning or full-day campers only. This is a set program from 1-2pm. 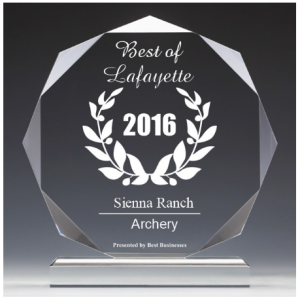 Campers will enjoy learning or improving their archery skills with an opportunity to shoot for at least an hour and a half each day on Sienna Ranch’s designated archery range, with distances ranging from 10 to 25 yards. Instructors model and encourage proper shooting form and techniques and help campers to reach their potential. 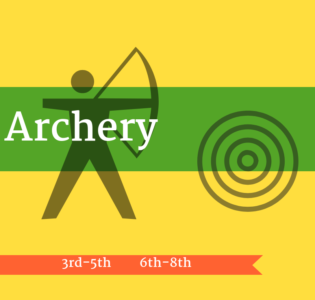 Over the course of the week, campers will be given the opportunity to work on several archery related crafts, such as leather arm guards and homemade wooden arrows. Beginners are always welcome! Two favorite hobbies- one fantastic camp! 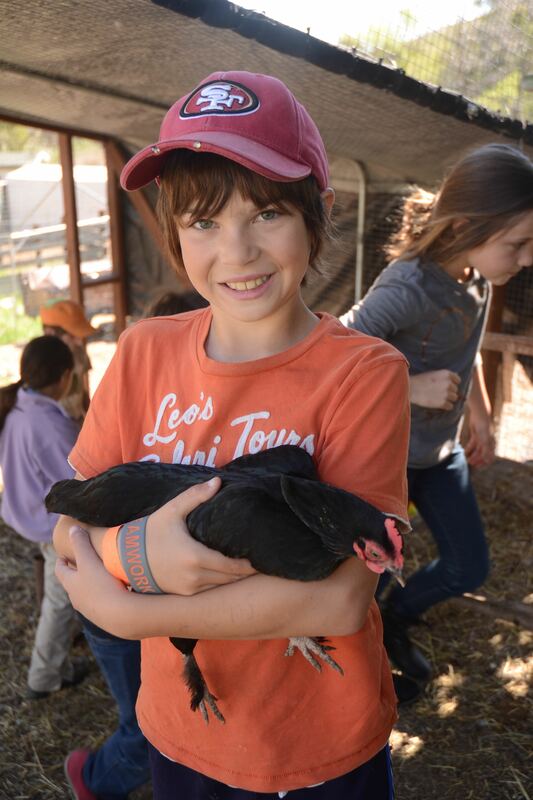 Each day, campers will enjoy interacting with the Sienna Ranch animals- activities such as collecting eggs, caring for the goats, feeding the ducks, and grooming the pony. After spending time with their farm friends, they will settle in for a unique nature-based art or craft project. Instructors model and encourage the use of natural and recycled materials, some found on the ranch! 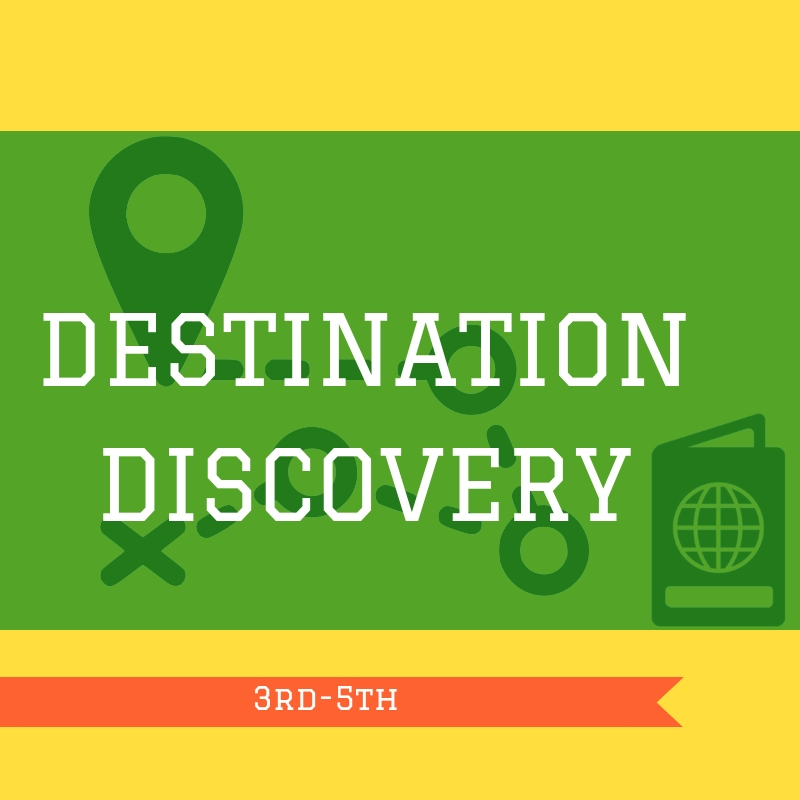 Come see all of the destinations Sienna Ranch has to offer and complete your Adventure Passport by solving clues that lead to hidden stamps throughout the property. Each day will have a new mystery to solve, a new survival skill to learn, and a new spot to explore at the ranch. 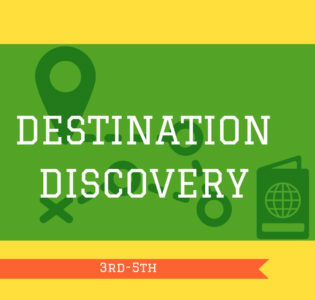 Campers will have fun using their problem solving skills, learning about maps and compasses, and completing physical challenges. Fun With Horses campers do exactly that, spend a week having fun with horses! Children in this special interest camp will have the opportunity to learn to “speak horse”, as they are introduced to the various ways horses communicate with each other and with us. Using fun games and activities, campers learn about colors and breeds of horses, parts of a pony, and gaits. They will participate in the various ways we care for horses to keep them healthy and happy, such as grooming, stall care, and feeding. Highlights of this week for many of our campers are the times spent with pony rides, vaulting, leading, and grazing, and creating chalk or painted murals right on a horse! Note: Fun With Horses does not include daily riding. For a camp with more of a focus on riding instruction, please see our morning Ranch Equestrian Camp, offered 9:00am-1:00pm each week. Campers will be delighted by making useful and beautiful clay projects in Sienna Ranch’s engaging pottery camp. 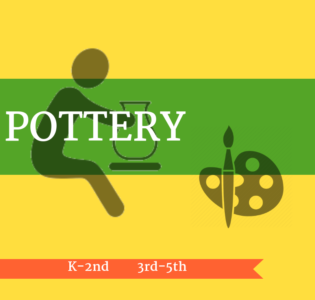 This hands-on exploration into pottery has a unique Ranch twist as campers learn to put their imagination into their creations. 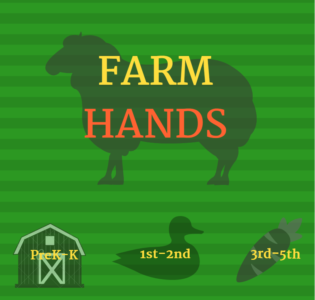 We will explore new hand building techniques each day and complete take-home projects which encourage investigation into size, shape and form. At this time we do not have wheels for throwing pottery, but there is so much to do just with your hands! 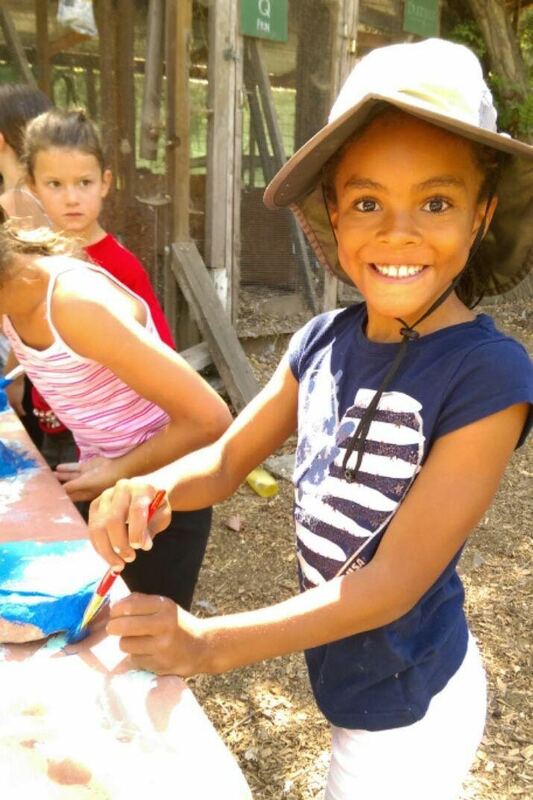 Campers will create an array of air dry clay projects by hand in our outdoor pottery studio and will also see at least one animal each afternoon. Potions are real. Pies are delicious! Join us at Sienna Ranch as we learn how to make treats from trees and medicine from plants growing here at the ranch. Summer is the best time to create scrumptious pies from Sienna Ranch’s homegrown abundance. 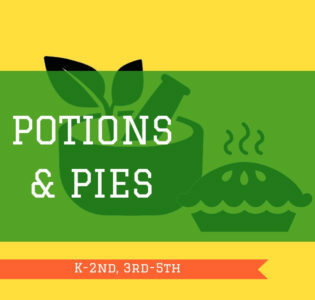 Campers will love making potions with mysterious powers, like healing salves and sprays to defend against bug attacks. In our free time we will enjoy hanging out under shady trees, visiting animals, exploring and playing games. Join Sienna Ranch’s Animal Care Staff as stewards of our beloved animal friends. 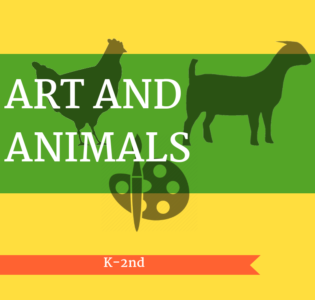 We will learn about the care, behavior, and maintenance of each animal. 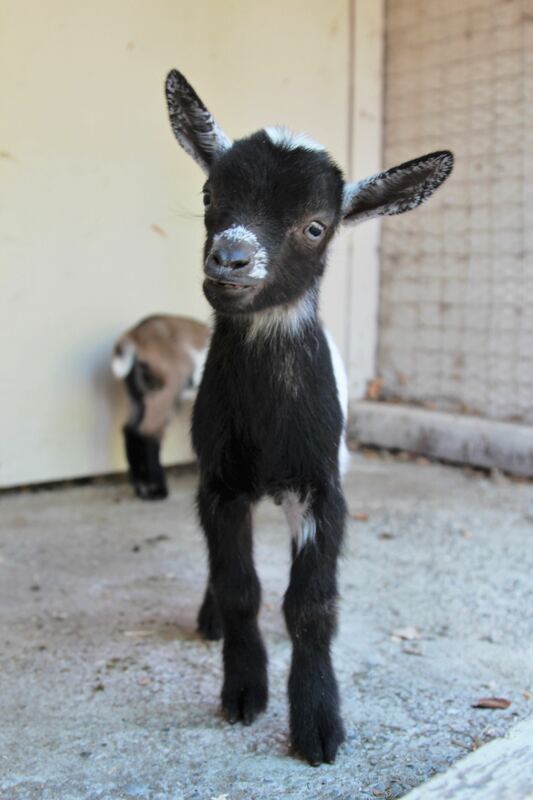 Highlights include taking the goats for a walk, feeding the animals, learning how to maintain our animal pens and grooming, all the while learning about our animals, how to care and connect with them. Weather dependent, students will have the opportunity for short mounted horseback riding lessons as part of this camp. In this fabulous craft camp all of our materials come from right here at Sienna Ranch! Campers will love our social goats and hungry sheep. 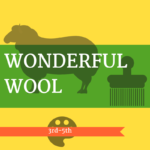 We will learn how to care for the animals that make our wool and how to tend and harvest from our garden of natural dye plants. 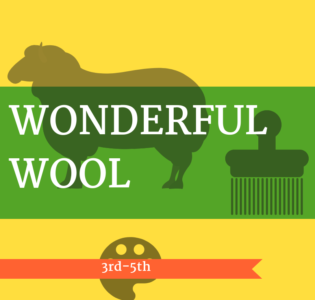 Campers can get creative as they dye, felt, and spin their own take-home projects out of wool. 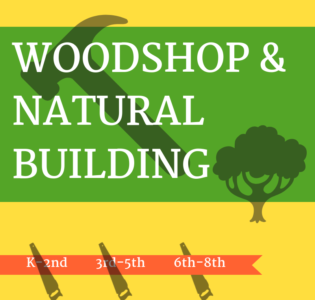 In this camp we will be building toys, games, and basic structures out of wood and other natural materials. Each day will begin in the Sienna Ranch Woodshop where students will learn to safely use hammers, saws, and drills to create kid-approved projects. Once confidence and skills are gained in the woodshop, students will use their hands and an array of natural materials such as branches and logs, rope and rocks, to build huts and survival shelters. This portion of the class will focus on basic structural design and building techniques that could come in handy in the backyard, during a camping trip, or even in a survival situation. Students can expect to take home at least 2 small projects. Please note ALL credit card refunds are subject to a 5% processing fee. 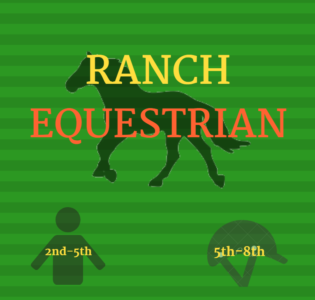 Ranch Play Discount: Register the same child for AM camp, Ranch Play and PM camp the same week and automatically receive $60 off that week’s total. Multi-Camp Discount: Register the same camper for any 5 camps (morning and afternoon camps count separately), automatically receive a one-time $50 discount for the summer. Multi-Sibling Discount: Register two or more siblings for the same week of camp, automatically receive 5% off the second child’s registration for that week of program. Sign Up for our Newsletter mailing list: We will notify you via email when our registration opens. Sign Up Early: Some of our summer camps begin to sell out as early as January, and many weeks fill by May! Try Different Camps: We plan one-week units and find that campers who spend multiple weeks with us enjoy variety in their camp experience. 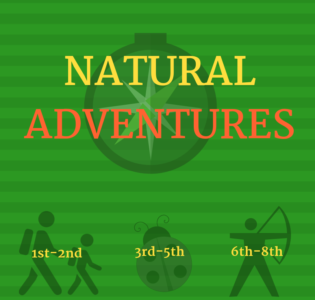 With three different themed nature camps, Farm Hands and Ranch Equestrian morning camps for most ages, as well as five different afternoon programs, we hope there is a lot for each camper to experience with us this summer. Call the office if you would like a recommendation! Register from a computer: our registration links do not always work from a phone or tablet. Early Pickup: Early pick up is discouraged as it may disrupt the flow of the camp and the experience of all the campers. Please only enroll in morning camp programming your camper can attend in full. We understand that swim team or alternate camp dismissals may conflict with 5pm pickup so for afternoon camps only, early pickup at 3:30pm is available upon reservation. Please fill out the form below with at least 24 hours notice, otherwise we cannot guarantee your camper will be available for early dismissal. A Note on Age Groups: If you are trying to pair siblings, cousins, or friends in the same age group, you may enroll an older child in a younger age group; however, please do not enroll a younger child into an older age group. Our age groups have been chosen based on years of experience working with children and they are important for maintaining the quality of the camp experience. Please email the office for help if you have any questions. Missing A Day of Camp: We are unable to offer make ups or to prorate camp tuition if your child misses a day of camp. 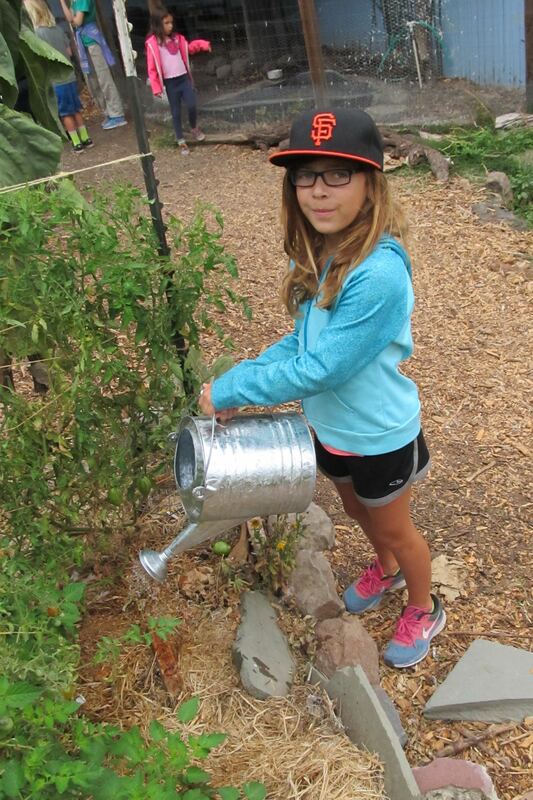 Food Allergies: Although we do not provide meals for campers, Farm Hands campers work with goat and cow’s milk, and there is always the chance that campers might enjoy an impromptu snack from the garden during their time at the Ranch. At the time of registration, please disclose any specific dietary needs, especially around eggs, dairy or wheat. Cooking projects in the past have included enjoying scrambled eggs, home-made ranch dressing, butter made with heavy cream, crackers (gluten-free option available), goat milk smoothies, goat cheese, fruits, vegetables and fruit juice popsicles. You are welcome to note any/all sensitivities or say you prefer your camper not eat ranch snacks. Is your preferred camp SOLD OUT? 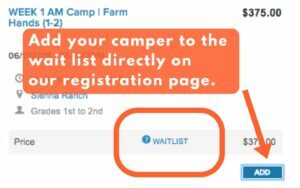 Put your camper on the Wait List if you’d like to be included in a batch email to all interested customers should a spot arise.